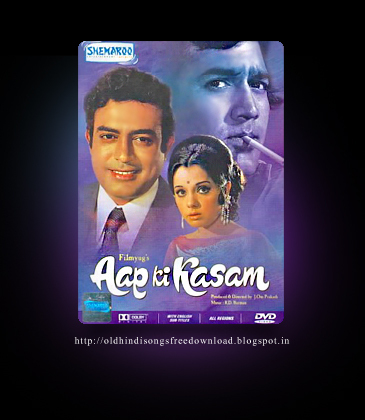 Aap Ki Kasam was released in the year 1974, and was one of the major hits of that year. The film was directed and produced by J. Om Prakash. This movie is his directorial debut. The star casts in the movie are Rajesh Khanna, Mumtaz, Sanjeev Kumar, Rehman, Asrani , A. K. Hangal and Ranjit. The music was composed by Rahul Dev Burman (R.D.Burman). Most of the songs from this film became super hit like ‘Jai Jai Shiv Shankar‘, ‘Zindagi Ke Safar Main‘ and ‘Karvate Badalte Rahe Saar‘ and still are very popular in all age groups of listeners.